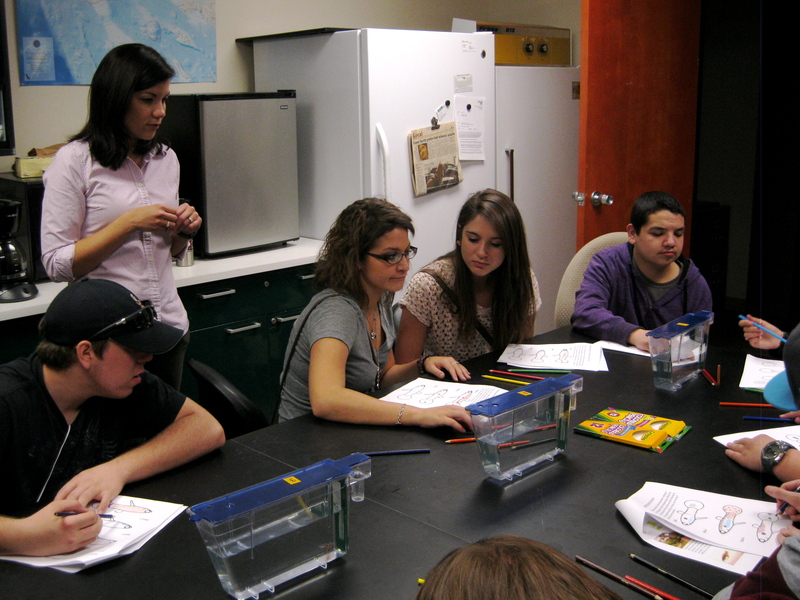 We just hosted another lovely group of Poudre High School Students form Cristi Carpenter’s class this February 2015. This year, Dr. Emily Kane, Sarah Westrick, and Francis Commercon helped introduce some of the cool evolutionary research we are doing with guppies at CSU. 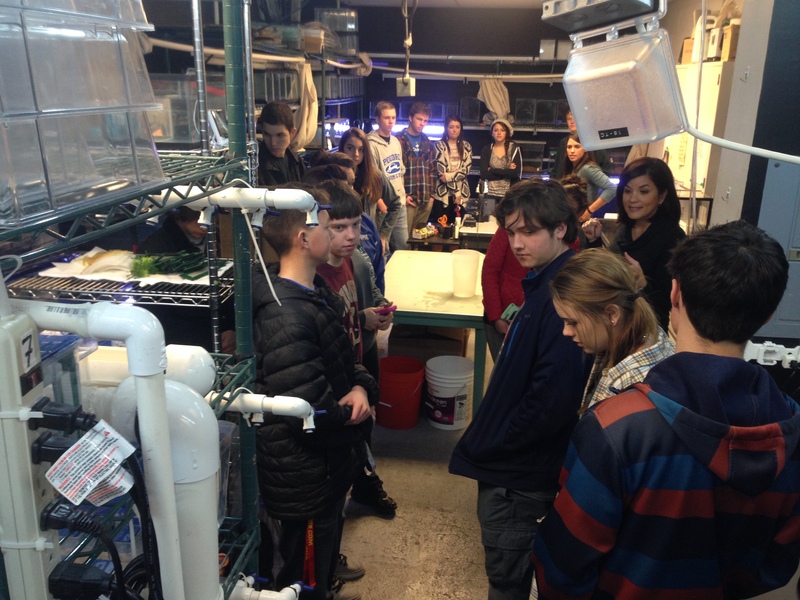 Dr. Angeloni gives Poudre High School students a tour of the guppy lab Feb 2015.